PowderQuest is proud to have an outstanding team of fully certified backcountry skiing guides in South America and Japan for our Off Piste and Backcountry ski tours. Our guide family expands into a team of professional skiers including Jess McMillan along with certified snowboard and ski instructors and coaches leading our popular Progression and All Mountain trips. Personality, experience, and safety have set our instructors and certified alpine skiing guides apart since our start in 1999. Lead guides are certified by the International Federation of Mountain Guides Association IFMGA, the Association of Canadian Mountain Guides ACMG, or the Argentine Mountain Guide Association AAGM. All our lead ski guides have extensive wilderness first aid training. Our tail guides assist our leads and are required to hold a minimum certification of Canadian Avalanche Association Operations Level 1, or similar certification from associations in other select countries. Extensive wilderness first aid training is also required. What makes a trip like this so successful is the ability of the guides to relate to the members of the group and remain flexible. PowderQuest was flawless. David first stepped into a pair of rear entry ski boots at the age of 5. As he grew, so did his passion for snow and travel, taking him on his own global PowderQuest after university; exploring Colorado, Wyoming, Canada, Alaska, Japan, Chile and Argentina. Before he knew it, he had also explored 15 Latin American countries, becoming fluent in Spanish. 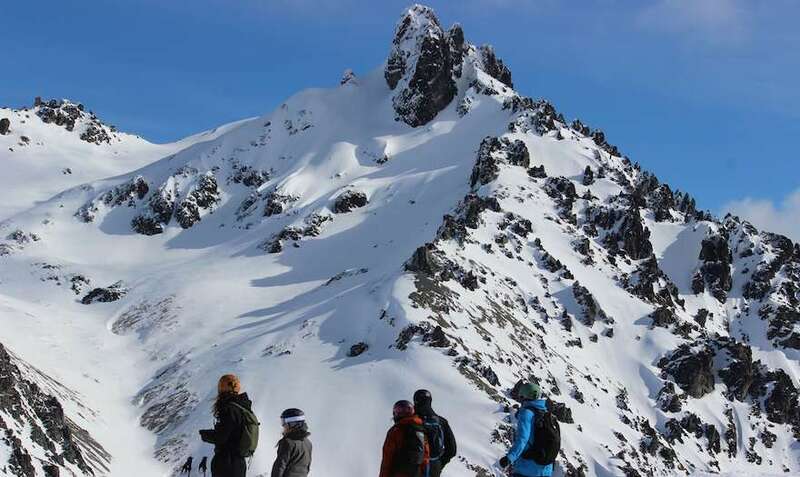 In 1998 upon discovering the adventure Mecca of Pucon, Chile, PowderQuest was born in the beautiful southern Andes. Mo grew up skiing the small Australian resort of Thredbo. Falling in love with skiing during university, the mountains brought him to Whistler, British Colombia where he discovered the bliss of powder skiing. 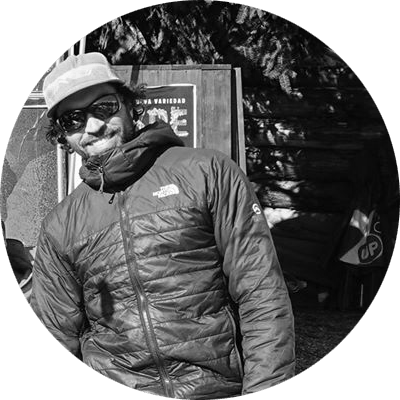 Teaching skiing, avalanche courses, and guiding to pay for his travels, he has ski toured in Japan, Australia, Canada, Alaska, Europe, Chile and Argentina. He has gone over 15 years without a summer and has been working with PowderQuest ski guiding since 2006. Phil joined PowderQuest in 2006. 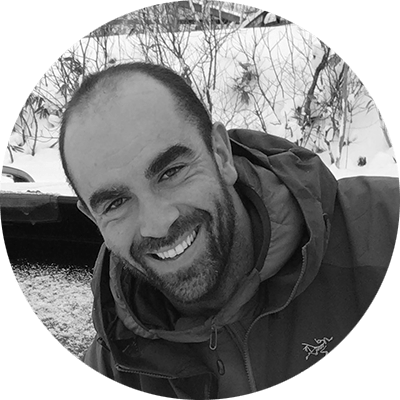 He has worked as a mountain professional in The Americas, Japan and Europe teaching Canadian Avalanche Association professional avalanche courses and ski guiding. 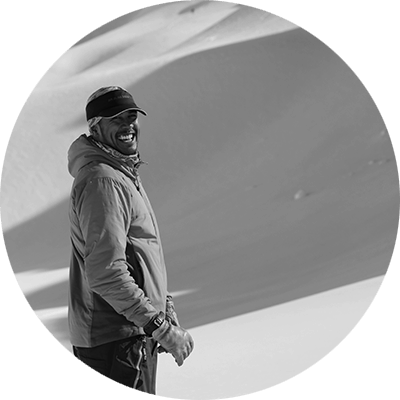 As a heliski guide he has been involved with the development of new programs in BC and Quebec. 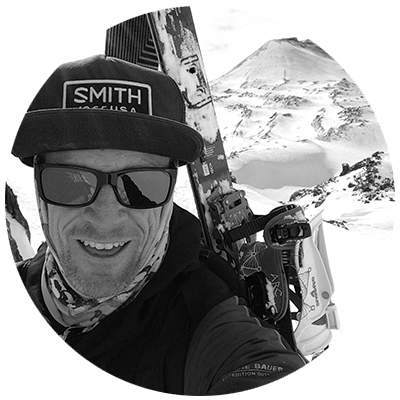 Phil has skied extensively in The Andes and has lead ski touring/ski mountaineering expeditions from the central ranges to Tierra del Fuego. Currently he is involved with adventure television acting as a consultant, researcher, and guide. Maxi was born and raised in San Martin de los Andes, Argentina where he began skiing at the young age of four at the local ski hill, Chapelco Ski Resort. As a teenager he started doing more mountaineering and skiing in the backcountry of his epic backyard playground; beautiful North Patagonia. From 2004-2017 he spent winters in Whistler Ski Resort in Canada where he worked as a ski instructor. 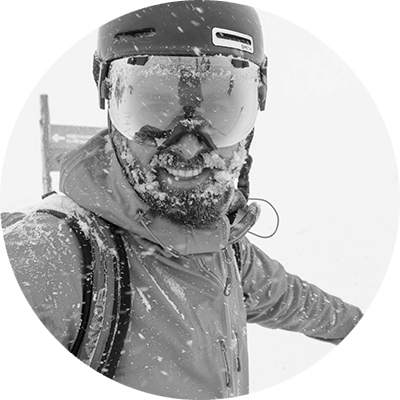 Maxi joined the PowderQuest team in 2009 as an assistant ski guide and is now leading many of our guided trips in Chile, Argentina and Japan. Vicente better known as Vicho, is originally from Santiago de Chile and started skiing with his family at the young age of five in the Three Valleys area. (El Colorado, La Parva, and Valle Nevado). After finishing school Vicho decided to spend every winter possible on skis, and in 2004, he started to work as a ski instructor in La Parva ski resort. Now Vicho lives in beautiful Northern Patagonia with his family, seeking nature and new backcountry experiences on the southern volcanoes. He started with PowderQuest in 2012. Born and raised in the San Francisco bay area, Max spent his childhood driving to and from Lake Tahoe. After high school, he decided to simply stop driving and stay permanently in a gem of a town, Truckee where he is the Adult Snowsports Manager at Boreal Mountain Resort and Woodward Tahoe. 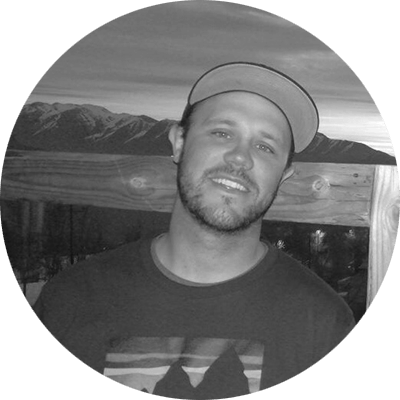 He has over a decade of experience working as a snowboard instructor in North and South America. Max loves nothing more than snowboarding with his friends and making new amigos while in the mountains. Jess McMillan from Jackson Hole, Wyoming is the all-time most winning big mountain free-skier in history. (Freeskiing World Champion and US Freeskiing Champion). You may have seen her featured in the past 7 Warren Miller films or ski coaching around the world while chasing winter in some pretty stellar locations. 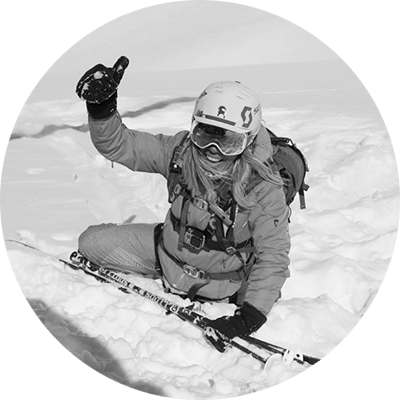 We welcome Jess to the team to host our Women’s Adventure Ski Camp in Chile. PowderQuest’s goal is to provide the best cultural, culinary, social and ski/snowboard product in the regions we explore. Safety is the paramount guideline for all operations. 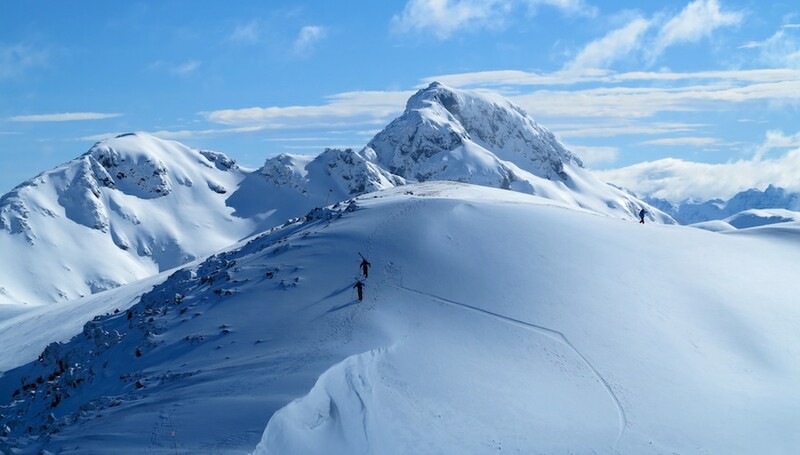 PowderQuest strives to provide a safe experience in the mountain environment yet it cannot entirely control or remove this environment’s inherent risks, hazards and dangers. Mountain travel is exposed to dangers and hazards that can only be completely eliminated by not participating in the activity. This said, it is incumbent on each participant to assume the activity risk. To do so, each participant is therefore required to take knowledge of, understand and knowingly sign a legal waiver which is necessary to complete the reservation. If a participant is not willing to assume this risk, then he or she will not be permitted to partake in the activity. Once on location participants will participate in a rescue scenario tutorial (including avalanche and other incidents) where the guides will explain the general course of action as well as the use of rescue equipment such as beacon, probe and shovel. PowderQuest guides are equipped and trained for field rescue and primary first aid. Participants are responsible to provide their own or rent safety equipment from PowderQuest as well as present themselves with the appropriate mountain travel equipment. When a situation requires external help, the company and affected participants must rely on the local medical and rescue support teams (ski patrol, rescue team, ambulance and hospital). In many of the countries we visit, organized rescue, transport, medical assessment and medical treatment are determined by local social and economical realities. Thus a participant on a PowderQuest Tour cannot expect the same level of external rescue resource availability and ensuing medical care as in their home countries. This said, PowderQuest has established a network of the quality local and international medical contacts available as well as private transport agencies that can be engaged to support the companies rescue effort. Guides are trained to be as self sufficient and resourceful, yet PowderQuest cannot guarantee the competence, reliability or availability of local rescue, transport and medical support. Each given PowderQuest tour utilizes a wide variety of terrain in multiple locations. PowderQuest has a network of local contacts that are used to gather information on specific snowpack and mountain travel conditions. Moreover, PowderQuest has an internal terrain and snowpack information exchange system that is used to capture and transmit information between the company’s guides. These sources of information coupled with the latest weather forecast serve as a basis to establish the day’s mountain objective. These objectives are then discussed by the guide team and presented to the participants.